These days, hybrid vehicle technology is hardly new. For about a decade now, hybrid options have been getting steadily better and better, with today’s newest models offering unbelievable mileage in a sporty, compact frame. But for all that these models offer an excellent range and fuel savings, they make up for with a hefty price tag – and for some buyers out there, this makes new hybrid models fairly inaccessible. 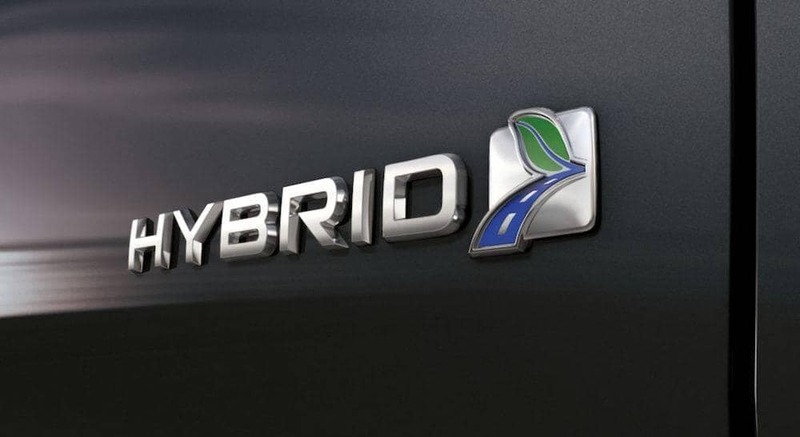 Fortunately, the rapid pace at which hybrids have been improving means there are now a huge number of hybrids among the used cars for sale at your local pre-owned dealer – and some of them come at great prices. Whether you’re trying to save on gas in the long run or you’re trying to reduce your ecological footprint on your daily commute, a reliably used hybrid can offer excellent driveability, improved fuel economy, and an enjoyable ride at a much lower cost. Here’s a look at some of the best used hybrid options on the market today – take a look, and then go see for yourself which one is best for you. Chevrolet has always brought an impressive array of hybrid technology to the forefront of their vehicles, offering everything from SUVs to midsize to compact hybrid options. But when it comes to picking one used hybrid Chevy that really takes the cake, it’s got to be the 2011 Chevy Volt. This impressive little compact hybrid offers an amazing 25 to 50 miles on its electric-only range – meaning most drivers can make it to work and back without using a drop of gas. Plus, this impressive plug-in hybrid also features a seamless pairing with a scrappy 35/40 mpg city/highway engine, offering a mpg-equivalent rating of 95/90 mpg city/highway. And since it only takes about four hours to charge with the powerful 240-volt charging station, this safe and efficient hybrid option can be ready to go each morning for your daily commute. When it comes to providing excellent hybrid power at a great price, few can beat the 2011 Chevy Volt. Sometimes, you need a bit more power behind the wheel – but that doesn’t necessarily mean you’re willing to give up your dreams of driving a hybrid. That’s why we’re so excited about powerful used hybrid SUV options, like the respectable 2010 Chevy Tahoe Hybrid. Relatively rare for a hybrid model, the 2010 Tahoe Hybrid packs in a powerful 6.0-liter V8 and a pair of electric motors for serious towing power, up to 6,200 pounds or up to eight passengers, even on the toughest ascents. Plus, the 2010 Tahoe Hybrid offers an electric-only mode for short trips, saving you on fuel for those jaunts around town. Boasting an impressive 21/22 mpg city/highway, this helpful hybrid SUV brings a whole lot of punch without sacrificing efficiency. But where the 2010 Tahoe Hybrid really wins the day is on its standard features – from leather seating, a Bose stereo system with navigation and satellite radio, tri-zone automatic climate control, Bluetooth, and a USB port. That means you’ll find some seriously impressive tech in this used hybrid – a necessity for families on the go looking to save on fuel without giving up on the fun. It may seem a bit surprising, but it took the auto industry a little while to figure out how “hybrid” and “luxury” could be successfully combined into one desirable vehicle. The result: the 2010 Lexus RX Hybrid, a powerful luxury model underpinned by an impressive hybrid system that can run with the best of the fuel-savers out there without compromising comfort or style. Many owners of this fine, luxury hybrid model report as smooth and comfortable a ride as the 2010 RX Hybrid’s gas-only sibling. Reliable, car-like handling and an impressive 30/28 mpg city/highway in all-wheel drive models make this efficient crossover a pleasure to drive in all conditions, while amazing standard features like dual-zone automatic climate control and push-button start really give this 2010 model a truly modern feel. For luxurious, high-end crossovers with all the power of a hybrid engine, few can touch the sheer refined grace of the 2010 Lexus RX Hybrid. While it may be one of the pricier options on this list, the Toyota Prius is undoubtedly the flagship hybrid model in most people’s minds. This trendsetting model line took the market by storm in its first iteration, and in the years that followed the Prius only got more and more impressively efficient. The 2011 Prius is an amazing model, offering a whopping 51/48 mpg city/highway fuel economy – one of the best on the market, and hard to beat by just about any other model in its price range. That’s thanks to three selectable driving modes, which allow you to adjust gas power input based on conditions – saving you on fuel when electric is just fine, and kicking up the power when things get rough. This impressive, distinctive, and iconic model comes with just about everything the modern driver might want, including standard automatic headlights, push-button start, cruise control and a six-speaker stereo to make each drive a pleasure. Despite its slightly higher price tag, the 2011 Prius is a hard hybrid to beat, and definitely worth a spot on your used hybrid shopping list. Nissan came roaring onto the hybrid scene with a mission to offer a high-mileage hybrid to compete with the rest of a growing hybrid field. With the 2010 Nissan Leaf, the brand hit that target square on the mark, offering a powerful and upscale hybrid model with an amazing 73-mile electric-only range and a jaw-dropping 106/92 mpg-equivalent city/highway hybrid performance. A smooth ride, capable handling, and regenerative braking to help recharge the battery on the go all make the Leaf an excellent hybrid option for daily driving. Plus, with impressive standard features like automatic climate control, heated front and rear seats, Bluetooth, a USB port, satellite radio, and navigation, it’s hard not to love just about everything Nissan packed into this capable compact hybrid. So whether you’re new to the hybrid game or an experienced fuel-saver looking for something affordable for daily driving, these used hybrid models all offer capable performance at a respectable price. Take a look for yourself and get out there – the open road is waiting.